So one of my very favorite things to do is to learn new techniques and processes from other artist. 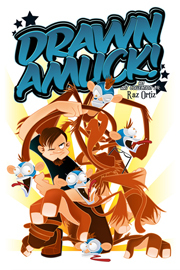 I’m constantly looking to get better and I dig deep on-line and in books to soak up new ideas. There is always room to grow. There is always room to improve. And man do I have room. This is a study on Rocks. I saw a video of a phenomenal digital artist Arthur Gimaldinov. 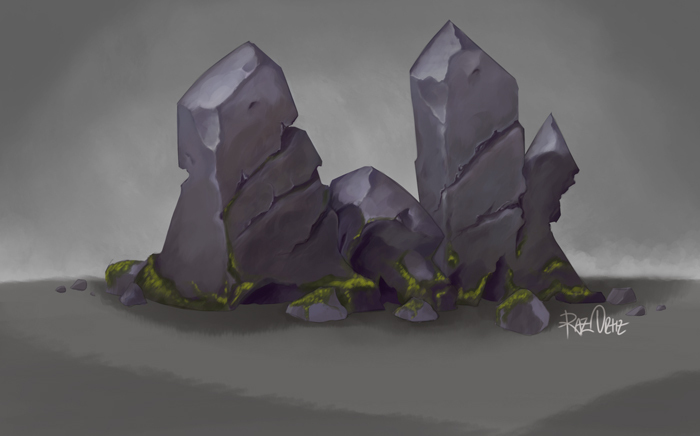 I instantly loved his digital paining style and I wanted to reproduce some rocks in the style that he uses. Arthur Gimaldinov is kind enough to post time-lapse videos of a few of his illustrations and one is the Rocks. 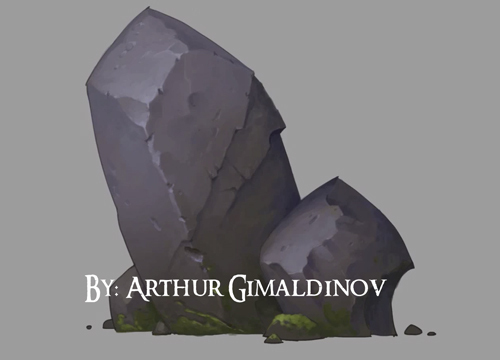 Below is Arthur Gimaldinov’s rock that he demonstrates from beginning to end. 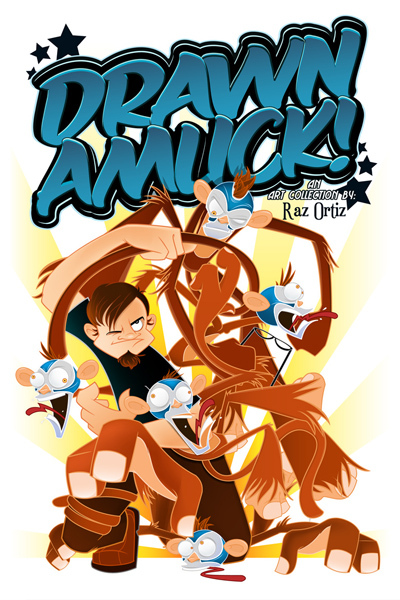 Go see his deviantArt page please.